FULL APEX PERFORATED Racing Replica. After more than two years of on-track development with our professional racers, the Full Apex arrives is the very best, top-of-the range Furygan suit. 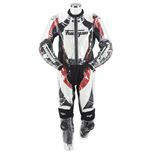 The suit is the epitome of our vast experience in protective motorcycle wear and is designed for your safety.